SUNNYVALE, Calif., March 15, 2017 /PRNewswire/ -- In partnership with founding partners Maersk and Ericsson, Plug and Play is launching their newest program, Plug and Play Supply Chain & Logistics. The model brings together a roundtable of complementary industry leaders to guide the direction of the program. 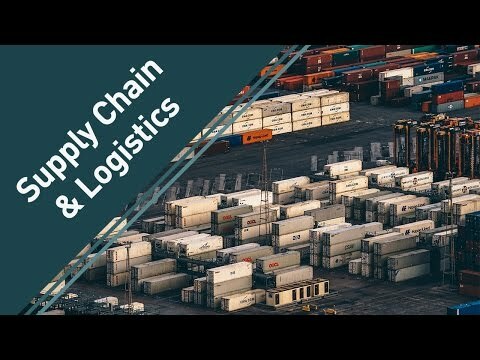 Different from most accelerator verticals, the Supply Chain & Logistics focus will incorporate a medley of partners and startups from across a variety of industries given the need for supply chain management and effective logistical operations in almost every type of business. This will create added benefit beyond standard startup scouting, as convergence of technology is often a trigger for success. Ibrahim Gokcen, Chief Digital Officer, A.P. Moller - Maersk Transport & Logistics division comments, "Maersk intends to be the leading integrator of container logistics, providing simple solutions to complex supply chain problems. Digital innovation plays a key role in delivering that ambition. We are excited about this new platform and its capability to bring the digital ecosystem together to create innovative digital solutions for the shipping and logistics industry." Given the rise in quality of IoT devices and end-to-end digital offerings from a variety of players in the logistics space, there is increased need for innovation. The program will present opportunities for disruptive business models given the ease of access to large amounts of data, new technology, and more channels for engaging customers. Plug and Play is facilitating this process by creating a platform to connect corporations to startup companies looking to change the game. "With our strong background in mobility, connectivity, and end-to-end data management, Ericsson will play a central role in enabling an open supply chain and logistics ecosystem. The combination of those skills with Plug and Play and Maersk will enable fast and powerful transformation of the freight and logistic industry," says Thomas van Bunningen, Head Business Development Logistics Solutions at Ericsson. Plug and Play has successfully launched Innovation Platforms in Brand & Retail, Fintech, Food & Beverage, Health & Wellness, Insurtech, Internet of Things, Mobility, New Materials & Packaging, Sustainability, and Travel & Hospitality, and will look to replicate the success of their model for this 11th vertical. Supply Chain & Logistics held a launch event on March 9th, bringing together over 30 corporations and showcasing 12 startups in the industry. "It is with great excitement to announce the launch of our Supply Chain & Logistics Innovation Platform with Maersk and Ericsson. In this globally connected world, commerce and trade makes our world a better place; and without efficient shipping and logistics, this would not be possible," says Saeed Amidi, Founder and CEO of Plug and Play. "We look forward to working with Global 100 companies that ship their products and goods worldwide to do this more efficiently, more cost effectively, and more sustainably for years to come." Startups considered will be innovating in areas such as disruptive business models, improved customer experience, application of IoT devices, advanced analytics, and future technologies connecting multiple parties, such as blockchain. Companies accepted into the program have the opportunity to receive funding from Plug and Play Ventures, weekly mentor sessions with industry thought leaders, entry to 22 international locations, opportunities for potential pilot projects, and access to founding Anchor Partners, Maersk and Ericsson.